Vitamin D3 Benefits Over Vitamin D2! Recent research continues to show the importance of Vitamin D but few understand the difference between vitamin D3 benefits over vitamin D2. Yes, there are two forms of vitamin D. Vitamin D2 is manufactured by plants or fungus and is typically used to fortified foods like milk, cereals, and juices. 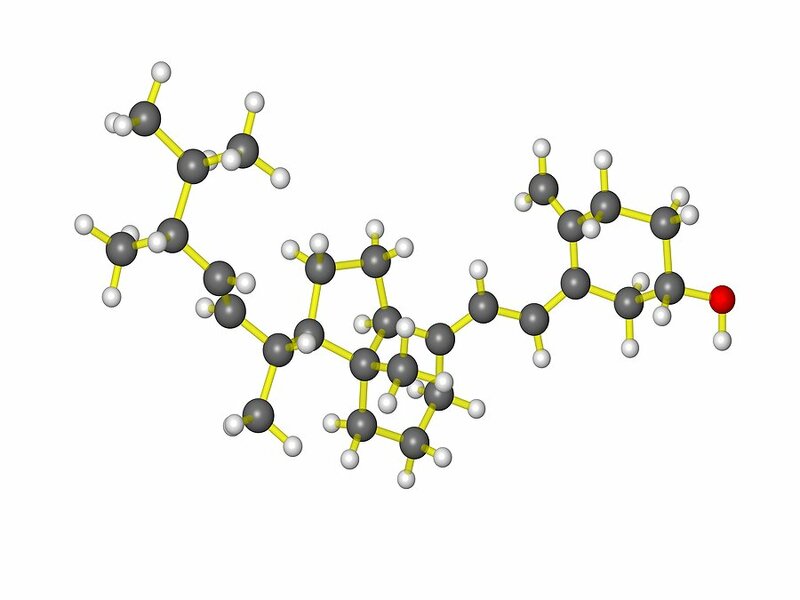 This form of vitamin D is called Ergocalciferol. Their research showed that vitamin D3 produced significantly greater bioavailability and reserve storage than vitamin D2. Helps to Maintain Calcium Balance in the Bloodstream – Vitally important to cardiovascular health is the proper maintenance of your blood calcium levels. This helps to prevent calcification of the vascular wall, which leads to arteriosclerosis. Additionally, your endothelial cells, which line all of your cardiovascular system, need calcium to be able to convert the amino acid L-arginine into nitric oxide – the master signaling molecule of your entire cardiovascular system. Helps in Blood Pressure Regulation – Recent studies have shown that vitamin D3 may decrease the risk for high blood pressure. This would make sense since proper blood calcium levels are needed to initiate the production of nitric oxide from L-arginine. Since nitric oxide is the body’s most powerful vasodilator, it is used to relax the vascular wall to help control blood pressure. Has a Role in Insulin Secretion – When conditions are right for increased insulin demand, vitamin D3 can play a pivotal part in insulin secretion. Boosts Your Immunity – Studies are showing vitamin D3 to be a potent immune system modulator to help enhance your immunity while helping to inhibit the development of autoimmunity. Aids in Cell Differentiation – Cell differentiation is needed to help cells form for specific functions in your body. While cellular differentiation is needed for growth and wound healing, uncontrolled proliferation of cells can lead to cancer. The active form of vitamin D3 inhibits this proliferation and stimulates cell differentiation. Prevention of Osteoporosis – Vitamin D3 is recognized as the best form for balancing the amount of calcium and phosphorous within your bloodstream. This is essential for bone production and development. There is an ongoing debate regarding vitamin D3 benefits versus toxicity resulting from vitamin D overdose. Because of this the Food and Nutrition Board of the Institute of Medicine has established a tolerable upper intake level of 2000 IU of vitamin D3. However, many research studies suggest that this upper intake level of 2000 IU is very conservative and that healthy people could increase their intake levels to 10,000 IU/day without side effects. If you have questions in this area, then work with your health care provider to find the vitamin D3 intake that will help to bring your blood concentrations of 25(OH)D, which is the circulating vitamin D metabolite that serves as the most frequently measured indicator of vitamin D status, into a healthy range. If you are going to use vitamin D3 supplements to improve your vitamin D3 benefits then make sure that the product you use is either a spray or chewable supplement. This dramatically increases absorption over those supplements that you swallow. By using the spray or chewable supplements you will achieve better results in a shorter period of time. As you hear more and more research toting the health benefits of vitamin D, please make sure that you choose a supplement that contains vitamin D3 in a chewable form. You will improve both your absorption and effectiveness in raising this needed nutrient in your bloodstream. The information contained in this article is for general information purposes only and never as a substitute for professional medical advice or medical exam. The information about vitamin D3 benefits has not been evaluated by the Food and Drug Administration and should not be used to diagnose, treat, cure or prevent any disease without the supervision of a qualified medical doctor. Over the last seven years there has been a huge amount of research that has shown a direct link between vitamin D and diabetes. Unfortunately, most diabetics know little about this connection. The purpose of this article is to help educate you with current information. Information that will help you use this relationship between vitamin D and diabetes to reverse the diabetic epidemic facing Americans today. It is estimated that 23.5 million American adults have either Type I or Type II diabetes. And this number is growing. In the book, The Vitamin D Solution, Dr. Michael F. Holick discussed a Finland study. During the 1960s children received 2,000 IU of vitamin D a day during their first year of life. These children were followed for 31 years. For this population group they reduced their risk of developing Type I diabetes by 88%. It is because of this type of remarkable results that more needs to be learned about vitamin D and diabetes. Here are some current studies to help you understand this connection between vitamin D and diabetes. Example 1 – Esther Krug, MD, is an endocrinologist at Sinai Hospital in Baltimore and an assistant professor of medicine at Johns Hopkins University School of Medicine. At the ENDO 2010 annual meeting of The Endocrine Society, Dr. Krug presented information showing that vitamin D deficiency was found in people with poor diabetes control. Participants in the study were placed into four categories ranging from normal to mild deficiency to moderate deficiency to severe deficiency. As their vitamin D deficiency worsened, so did their diabetes control. Based on these observations, one of Dr. Krug’s suggestions was that aggressive screening of vitamin D levels is crucial for people with diabetes. Example 2 – Joanne Kouba, Ph.D., R.D., L.D.N. and Sue Penckofer, Ph.D., R.N. of the Loyola University Chicago Marcella Niehoff School of Nursing co-authored a review article published in Diabetes Educator. This review article suggests that vitamin D plays an integral role in both insulin sensitivity and secretion. 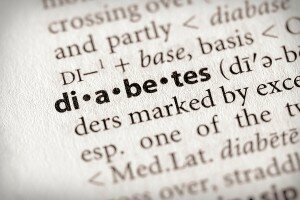 One of the studies evaluated looked at 3,000 people with Type I diabetes. This study found that those who took vitamin D supplements had a decreased risk in disease. In observational studies of people with Type II diabetes, it was noted that supplementation may be important in the prevention of diabetes. As more studies are conducted and existing studies are reviewed it has become clear that vitamin D deficiency is widespread throughout the American population. Much of this deficiency is due to poor nutritional choices coupled with a reduced exposure to sunlight. To help you see one additional relationship between vitamin D and diabetes we need to look at type II diabetes. The beta islet cell that makes insulin has a vitamin D receptor. Adequate amounts of vitamin D stimulate these cells to properly produce insulin. Fat cells also have vitamin D receptors. There is growing evidence that vitamin D may directly help fat cells improve their insulin sensitivity. This means that vitamin D plays an active role in both insulin production, as well as enhancing insulin sensitivity. According to Dr. Holick, one study showed that for men and women who had the highest vitamin D intake there was a 33% reduced relative risk of developing Type II diabetes. To put this 33% reduced relative risk in numbers you’re looking at preventing as many as 8 million new case of diabetes. That’s a huge health benefit for the individual as well as our health care system. Just as adequate levels of vitamin D improve heart and bone health, adequate levels of vitamin D also reduce the risk for diabetes and diabetic complications. I would highly suggest that you pick up a copy of Dr. Holick’s book The Vitamin D Solution if you or a loved one has diabetes. Your body will thank you if you apply his suggestions. The information contained in this article is for general information purposes only and never as a substitute for professional medical advice or medical exam. The information about Vitamin D and diabetes contained in this article has not been evaluated by the Food and Drug Administration and should not be used to diagnose, treat, cure, or prevent any disease without the supervision of a qualified medical doctor.